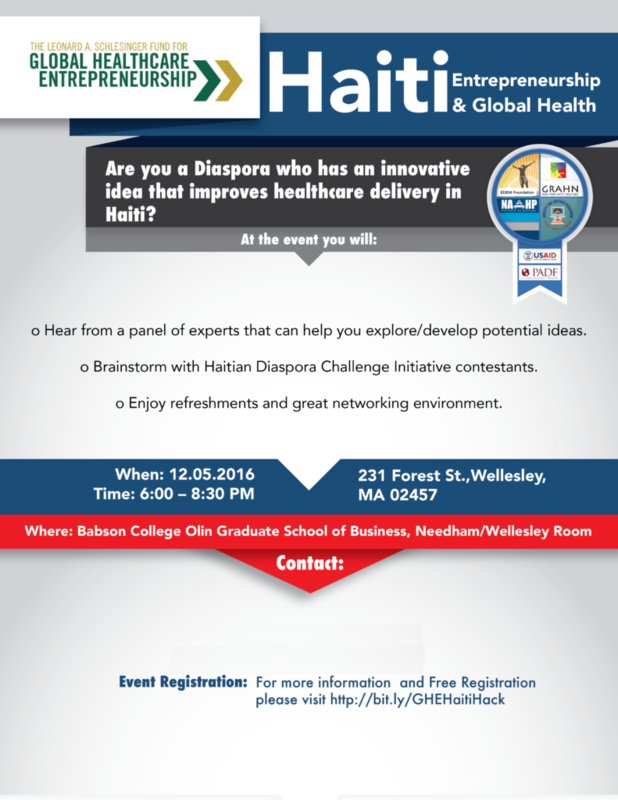 The Schlesinger Fund for Global Health Entrepreneurship at Babson College is partnering with the National Association for the Advancement of Haitian Professionals, USAID, and other partner organizations to host an event supporting the Diaspora Challenge Initiative. You must register to attend the event. Register TODAY!